What do you get when you mix Northwoods paddle, a scenic bike run and a run through the fresh forest air of Boulder Junction? We’ll tell you at the finish line party of the White Deer Triathlon! 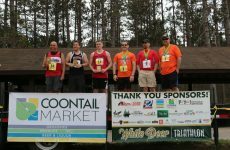 Now in its fourth year, this event has become a Northwoods classic, mixing a fun outdoor challenge with an atmosphere that can’t be beat. 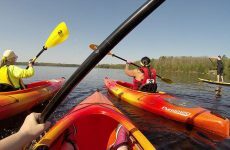 The May 18 event features a 3-kilometer canoe/kayak/stand-up paddleboard course on Boulder Lake, 22-kilometer bike ride on Boulder Junction’s paved rustic roads and 6-kilometer run along scenic county roads and onto a beautiful forest trail. Individuals, 2-Person Teams and 3-Person Relay Teams are welcome. 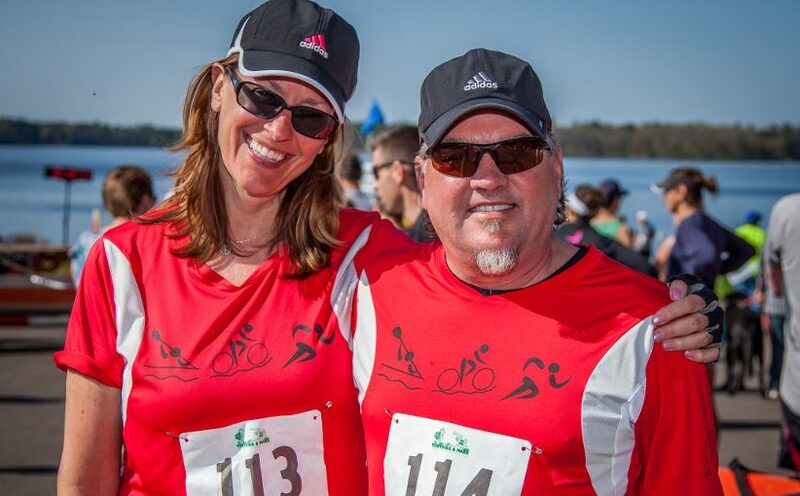 The beginner-friendly event is perfect for groups and every year the triathlon draws quite a few groups of friends and families – sometimes they participate as a team, sharing the challenge, sometimes they compete against each other. Get your crew together – there’s still time to get into the race and lodging is still available. Bragging rights (and awards for speedsters) may be on the line but everyone is a winner at this event. After experiencing Boulder Junction’s renowned outdoor beauty, relax at the celebration party that features food and beverages, including cold beer that provides extra motivation to some of our finishers! Beer lovers can continue the fun with a weekend pub crawl. Get your card stamped at some nearby establishments and you could win a free race entry! The crawl is a great time to socialize with other racers, trade a few triathlon tales and enjoy a beverage – you’ve earned it! Registration is still open- secure your spot!